Your horse’s skin is his largest and one of his most important organs. The skin does everything from help your horse stay hydrated to hold his body together; healthy skin also blocks invading pathogens and provides protection against bugs and the sun. Your horse’s skin is just as sensitive as it is important – it has numerous nerve endings that react to things as light as a fly’s feet. Rubbed or broken skin can cause a variety of health concerns, so in tackling skin irritations, it is important to understand the different types and what causes them. When we think of skin irritations in horses, the first culprit that comes to mind are insects. Biting flies, mosquitoes, gnats, lice and ticks can all irritate your horse’s skin. 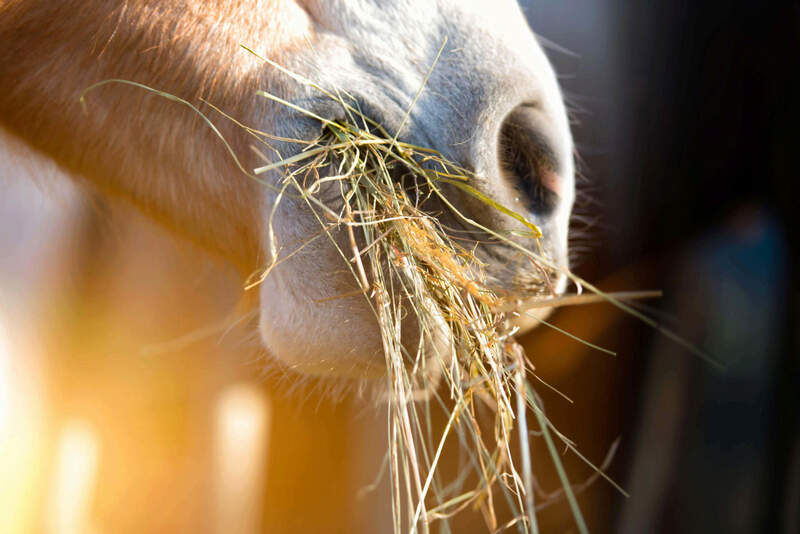 Some horses will show allergic reactions to these pests in the form of rashes, hives or severe itchiness, and in some cases, can even lead to hair loss. The first step in preventing insect-related skin irritations is to minimize contact with good insect control. Pay close attention to the bugs that bother your horse the most and develop a plan to fight the battle on multiple fronts. This plan may include making environmental adjustments, rearranging the times of day your horse goes out and incorporating both on-animal repellent sprays and premise sprays or traps. In some cases; however, repellent sprays and grooming products may become skin irritants. 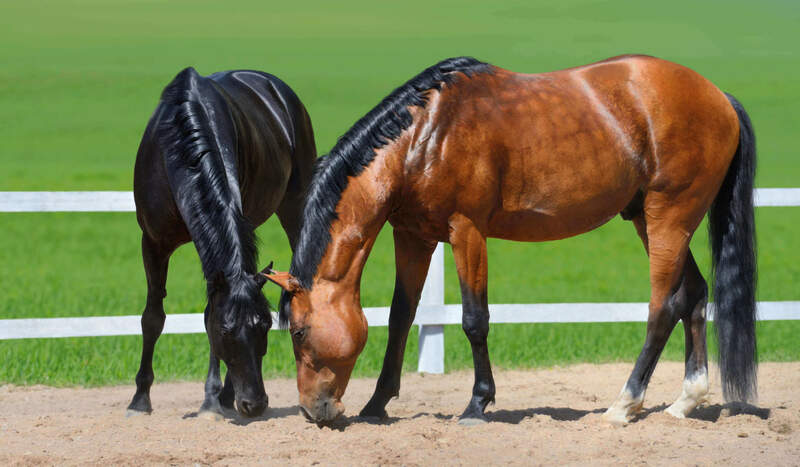 If your horse breaks out with hives, a rash or itching after using a fly spray, he may be experiencing a contact reaction or a mild allergy to some of the products’ ingredients. Hosing off or giving a bath can help, but severe cases may require medicated sprays or ointments on the affected areas. For a highly sensitive horse, it may take some experimentation to find a fly spray that provides protection, yet is gentle enough for his skin. In addition to insect-related skin irritations, environmental agents, such as weather and mucky pastures, can also be the culprit. While there are many skin afflictions that horses can get, rain rot and scratches are two of the most common that horse owners need to watch out for. Rain rot (rain scald) presents itself with large, crust-like scabs or small matted tufts of hair that appear along the neck, back, croup and sometimes the hind legs. When the skin is exposed to prolonged wetness, high humidity, elevated temperatures or attacks by biting insects, it can become compromised, providing an environment perfect for skin conditions such as rain rot to develop. Horses with white hair coats or with light-skinned areas tend to be affected more severely. Rain rot can be transferred to other horses by direct contact, biting insects or shared grooming tools and tack. Scratches, also known as greasy heel, mud fever, dew poisoning or cracked heels, is another common scenario in horses who spend a lot of time in wet, dirty environments. It is characterized by soreness and swelling of the horse’s heel followed by a sticky substance forming around the heel before scabbing and cracking. The scabby, crusty lesions will form between the fetlock and the heel, most commonly on the hind legs. Scratches can be mild, being uncomfortable for the horse, or severe with the leg becoming hot, swollen or painful, and can cause lameness. Some horses are more susceptible to scratches than others: draft breeds or horses with feathered legs (due to moisture and dirt retention) and horses with white socks or light-colored legs. Rain rot (rain scald) and scratches (greasy heel, mud fever, dew poisoning or cracked heels) are caused by wet conditions that allow organisms to flourish on your horse’s skin. Wet skin, combined with muddy environments, especially amidst warm temperatures and high humidity, can become a breeding ground for developing these types of skin irritations. A daily grooming routine can do wonders to prevent irritation caused by wet skin. Most conditions are easier and less expensive to manage when they are caught early, and grooming your horse daily gives you the opportunity to pick-up on skin irritations as soon as they start. A good grooming routine means that you are removing all mud and carefully drying areas where wet hair can predispose the horse to skin problems. Don’t forget to groom all the way down the leg, thoroughly clean those heels and pick out the hooves! Regular grooming is highly effective in preventing skin irritations, but should one show up, it is important to remove him from the wet, muddy environment. The treatments you provide will most likely be ineffective if you do not move him into a dry, clean area. If your horse has feathers or long hair, you can clip the affected area. This will help keep the area dry and clean, and allow easy access to apply medication. Make sure to gently wash the area with an antibacterial soap and pat dry with a clean towel. Take caution when washing the affected area; irritated skin is often very sensitive and your horse may kick out if painful. For severe cases, consult your veterinarian to determine an appropriate plan of action. Carelessness with the hygiene of your horse’s tack and clothing can also lead to skin irritation. Dirty or poorly fitting tack or horse clothing, such as fly masks, fly sheets and blankets, can irritate your horse’s sensitive skin. Leaving a wet blanket on your horse for a prolonged period of time or even switching to a different detergent for washing saddle pads could cause skin irritations. The best way to prevent skin afflictions is to start with cleanliness. That means your horse, his tack and all of his clothing, need to be kept clean. Your horse’s tack should be wiped off after every ride and fully cleaned at least once a week. Wash your girth covers, saddle pads, boots and wraps as often as possible, and make sure they dry completely between each use. Check the insides of horse blankets, fly sheets and fly masks at least weekly; you may need to brush them off to remove hair, dirt and dander. Having spare girth covers, saddle pads and blankets to swap out is convenient for you and better for your horse’s skin. Try not to share tack or grooming tools between horses, but if you do, make sure to clean each piece thoroughly before using it on another horse. If your horse has a skin irritation, make sure to wash your tack, equipment and grooming tools with a disinfectant soap. With daily monitoring and attention, it will be easy for you to catch any developing skin irritations early on. Pay attention to any skin twitching when you groom and make sure to check the legs thoroughly. Your greatest tools in fighting skin irritation are awareness and proactivity. By recognizing the signs and taking action to prevent and manage irritations, you can help keep your horse healthy and happy.